Off to a promising start in the audio industry Sharon J Manohar is a sound editor at OLI Sound Labs in Chennai. Having trained at Audio Academy, read on as he recounts his journey into the world of sound. My interest in sound began in eighth grade when I used to combine songs using a software for friends. These medleys were used for dance performances in school programmes. A turning point was when Resul Pookutty won the Academy Award for best sound mixing for Slumdog Millionaire in 2009. 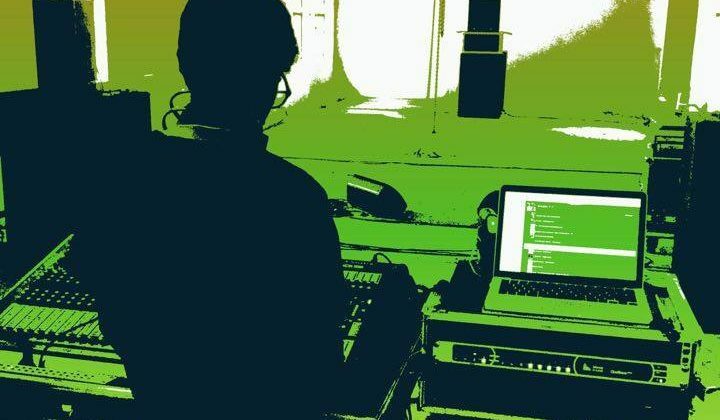 This gave a big boost to my interest in the field and I began spending a lot of time online researching the field of sound and possible careers in it. 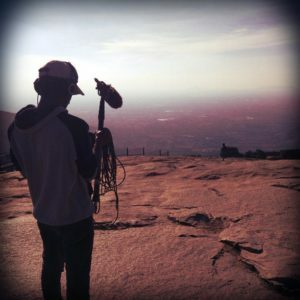 I read up about films and what it means to handle sound for a film and so on. I remember telling my friends in tenth grade that I would become a sound engineer in films . After I finished my 12th grade, there was no other educational stream that could compete with my interest in sound and so I joined Audio Academy. When I joined the school, I was a rank beginner who had no idea about something as basic as the difference between live sound and sound for films. Everything that I know now is because of my training at Audio Academy. I joined the school as a student of live sound and later I moved on to studio sound and sound design. The faculty and the level of training at the school is unmatched. I told Gautham, one of the faculty members that I am interested in working on sound for films. He mentored me through the whole process of learning everything to do with the industry and the nuances of sound for films. When it came to speaking to artists, I wasn’t confident about speaking in English. The course even trained me on how to behave in the studio and how to interact with artists. I still remember the assignment in which I had to find a band and record with them. We were given six hours for recording and four hours for mixing. I had no idea where to find a band but I knew I had to figure it out since we had been asked to handle all aspects of the assignment ourselves. I searched through Facebook and managed to find and contact a few bands. After speaking to four bands, I managed to get one to agree to come in for a recording. 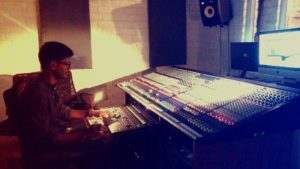 Handling each practical aspect of recording taught me everything from how to speak to artists and make them comfortable during a recording to managing unexpected delays or hitches during the recording. If anything went wrong during the recording, I knew I was responsible for it. So I had to learn how to deal with various crises and not get stressed out by something not working out. The detailed feedback form provided to the bands who came in to record ensured that we received clear assessments on how our role as the sound engineer was perceived by the artist. We were also responsible for the atmosphere in the studio and other such details that can easily get overlooked. It taught me a lot of important skills that are incredibly relevant in the audio industry. Every time I had a conversation with Niranjan, I learned something new. Each and every day was a learning experience at Audio Academy, from lifting the console and carrying the case to keeping the studio clean. A brilliant workshop I attended at Audio Academy had Sreejesh Nair, a National Award winning mixing engineer demonstrate and breakdown the mix for a Hindi movie. After my training, I began researching options and came across OLI Sound Labs in Chennai. They didn’t have any open positions but a friend told me that they were open to trainees. I joined as a trainee for one month during which I was the Foley editor for the 2017 Mani Ratnam movie Kaatru Veliyidai starring Karthi and Aditi Rao Hydari. After a month, I became a full-time employee with the firm. My next assignment was as a sound editor for the 2017 Mammootty film, Puthan Panam. Looking back, it feels amazing that it has been just four months since I have begun working and I am living my dream.